Martha Ann Hampton Shelton was born May 25, 1927 to the late Clarence Hampton and Winnie Fields in Michigan City, MS. She departed her earthly life on September 22, 2018 at 1:03 pm at Alliance Health Care System in Holly Springs, MS.
She joined Everett Chapel M.B Church at an early age. She was a faithful chair member, usher, and mother board member until her health failed. She was joined in holy matrimony to the late Willie Lee Shelton on May 15, 1945; to this union nine children were born. 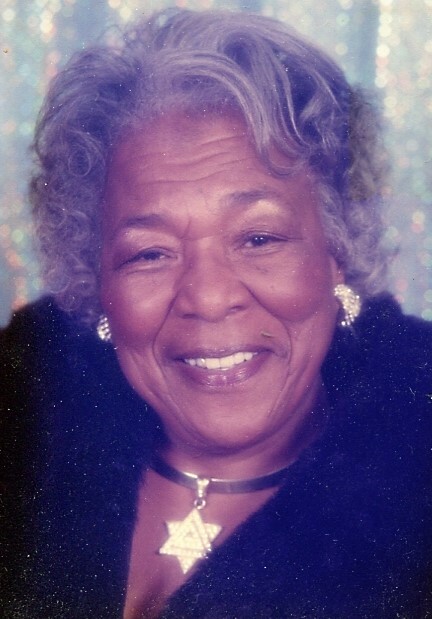 Her memories will be cherished by her son James Shelton of Lamar, MS, two daughters Winnie Woodard and Phyllis Walls and one daughter-in law all of Michigan City, MS and one sister-in- law Juanita Shelton of Memphis, TN. Fifteen grandchildren, twenty-two great grandchildren and one great -great grandson, and one very special granddaughter in-lawShondranika Lewis whom she loved as her own. She was preceded in death by six children: Wilma Anthony, Willie Ann Hudson, Sammie, Melvin, Joe and Ronald Shelton. Three grandchildren Ashley Anthony, Cierra Shelton, andJeremi Shelton. Three sons-in- laws Sammie Lee Hudson, Joseph Anthony, and George Woodard.